A Better Wrist: Is Grand Seiko the People's Watch? 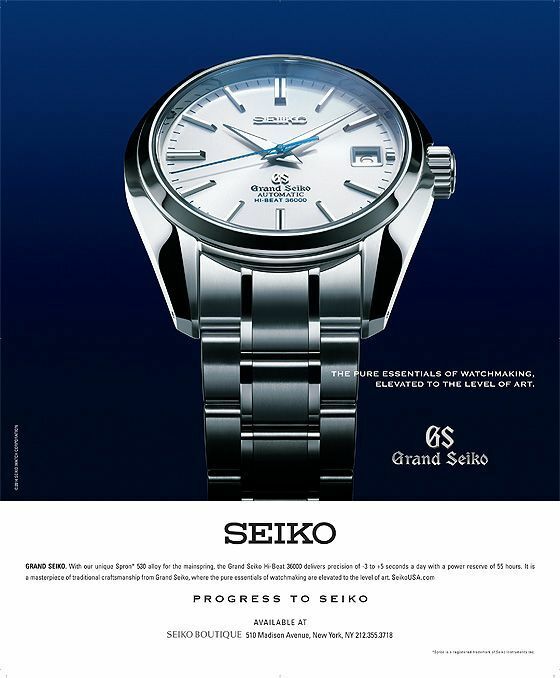 Is Grand Seiko the People's Watch? 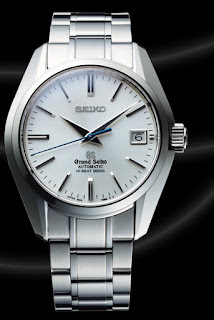 Watch collectors are familiar with Grand Seiko, Seiko's luxury watch. Grand Seikos are handmade beauties whose quality is on par with Switzerland's best. Hodinkee described Grand Seiko this way: "Grand Seiko is truly a hidden gem of high horology." The highly polished surfaces. The way the hands glide around the watch's face. The smooth, almost weightless resistance you feel when you wind a Grand Seiko. That's what you see in a Grand Seiko. Seiko makes its own movements, which gives the Grand Seiko superior accuracy and reliability. Grand Seikos come in manual, automatic and quartz variations. Grand Seiko Spring Drive watches are accurate to within a second a day, and usually do better than that. The Grand Seiko is the evolutionary result of the drive for understated perfection. Grand Seikos aren't cheap, either. You'll pay north of $2,000 for an entry level Grand Seiko, and a lot more for many models. Which brings me to this observation about the Grand Seiko. There's a home furnishings store near my apartment in Tokyo. It's nothing out of the ordinary. The store sells pots and pans, rice cookers, small couches, slippers, USB cables, coat hangers, and lamps. Stuff like that. It also sells Grand Seikos right next to the vacuum cleaners. Oh. That's something I wouldn't expect to see in the United States or Europe. 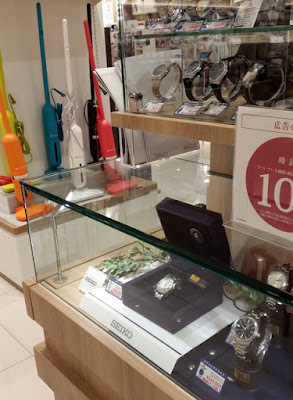 You'd wouldn't find a Rolex or Breitling for sale in the same part of any store where vacuum cleaners can be picked up. right next to the vacuum cleaners. I can make some guesses about why Seikos are sold in the same places as ordinary home appliances. While Grand Seikos are expensive, they're not advertised with the same air of status as many Swiss or other European watches. Grand Seikos will burn through your wallet like an Omega, but because they're viewed in their home country, Japan, mostly as exceptional quality watches, rather than a symbol of something else, it's okay to buy one anywhere. The advertisements for Seiko in the United States extol the engineering and science that goes into making a Grand Seiko, even if the advertisements don't say that in precisely those words. replaces it with the desire for something more advanced. A watch store with brilliant pinpoint halogen lamps illuminating the merchandise isn't something that potential Grand Seiko buyers in Japan need to see (though they will see that, too, in Seiko boutiques.) 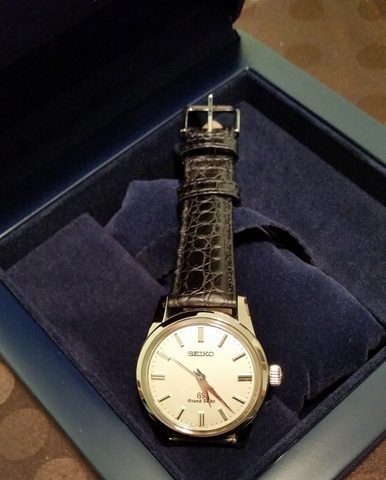 Grand Seiko buyers just want to buy the best watch that they can afford. Grand Seiko may not actually be the people's watch as far a price goes, but Seiko doesn't try to create distance between itself and regular people. Very will written. Excellent brand that Americans will discover over time.